I am an idiot. It happens, I’ve accepted it, but there are some times that I open my mouth and words just pour out before I have a chance to stop them. Then afterward I laugh, but I sincerely wish that I could take back everything that I said. Remarkably enough, this is not about one of those times. This is about a time that I don’t wish I could take back what I said; I just wish I would have been less enthusiastic about what I said, or at least worded it better. There is too much background to explain about this so forgive me for being so vague, but honestly, it’s not completely necessary so that is why I’m choosing to not fully re-hatch the entire situation. What is necessary is that I have a good friend or the Unicorn as I sometimes call him, and one night, without realizing it, I went into an analogy that possibly only couture connoisseurs such as myself (or my old-self, I forget) may recognize. This friend, he is not one of them, so I’m sure the opinion he may or may not have had of me has inevitably changed. Lucky me. Fill in the blank? Rocket ship is to stars, like sail boat is to...water? Yes, water. I don’t think about analogies on a regular basis, but there are times where I find the term useful. I enjoy talking, but not hearing the sound of my own voice. I like to explain myself and my actions with stories rather than your standard explanation, I’d much rather make it interesting and incorporate a visual into the conversation…that is where the analogies come in (and sometimes the tangents). Not so recently, I was spending some time with the Unicorn, when a sensitive subject came up. Instead of discussing it like an adult I decided to throw out an off the wall scenario to lighten the mood, but in reality, it probably only made me look completely ridiculous. The conversation we had was roughly debating where our relationship was heading. Now, when I use the term relationship I would like to state clearly that I was not in a relationship with the Unicorn, but I did have a relation and relations with this him. We were relatively clear in our decision making and for the most part about what was going on between us at the time and we were courteous to the other in letting them know if we had any concerns, but every so often this conversation would arise and we would discuss what was politically correct and what was straight-up out of the question. It seemed that we always reached the same conclusion. We were content with our relationship as it was and at the moment there was no room for change, plain and simple. I, being the girl, was content, but still felt that this particular moment was a golden opportunity to channel (not Chanel) my inner-emotional high school cheerleader and at least offer up the suggestion of “something more” on a silver platter or in this case, an expensive shoe box. Remember when I said I was an idiot? Here is my proof. Most anyone has heard or is at least familiar with the story of Pandora’s Box. If you’re one of the unfortunate people who have not heard this first off, I am sorry for referencing it, but I could not find any help from US Weekly, so the basic idea of the story is to be so enamored with a box that is not to be opened and eventually succumbing to its beckoning. The moral is that you never know what is in the box until it is opened. It could be something that is exciting or even something horrible. the Unicorn is Pandora and I am a box…a Chanel box. The proposition I presented to the Unicorn was just that. If he was placed alone in a room with nothing but a Chanel box (I go for high style), what would be going through his mind? I mean, if you were placed alone in a room with nothing but a Chanel box, how curious would you be? 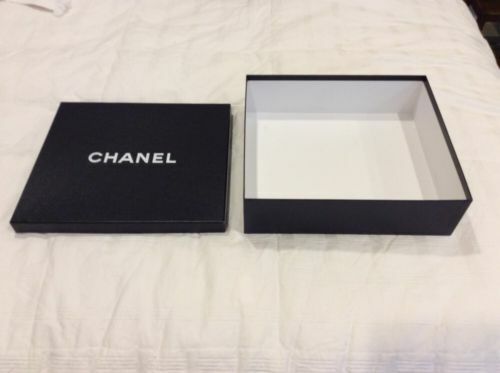 Have you ever seen a Chanel box? Now, it’s not quite a Tiffany box, complete with a white bow and bright blue wrapping, it’s almost…classier. It’s crisp and black, with bold print stating yes, I am couture and I’m amazing and you probably cannot afford me, but I’m still intriguing and loveable, minus the sharp edges…they just take some getting used to, and I can say that you’ll probably repeat that entire phrase if you ever are fortunate to come upon a Chanel box. You can thank me later. As I was saying, the Unicorn did admit he would be intrigued. He admitted that he had been intrigued and may even have been intrigued at that moment. This was my ammo. the Unicorn had been made aware of the Chanel box for quite some time now. He had (figuratively) touched the box. He had (figuratively) kicked the box around and maybe even (figuratively) tore open a corner to take a peek at what is inside, but in all honesty, he had no idea what the Chanel box was all about. How can you know what is inside of something unless you open it? It’s like Christmas. You start to see the presents under the tree maybe in mid-December, and if you’re anything like I was, if there was a moment in your day when your parents were not within earshot, you were under that tree picking apart the details of those gifts. You may have known that if a box had a particular size and/or shape it was a Barbie (I could tell if I was getting a Barbie from across the room). If you were daring enough, you may even try to shake the box a little to see if the contents inside rattled and if you were getting Lego’s (this was harder to spot from far away, hence the shaking). Curiosity may have killed the cat, but as of this day, I have not known it to kill a super-sleuth seven-year-old on a mission for presents. I advised this to the Unicorn and merely said that if you do not ever actually open the box, you will never know the glory and wonder that may be inside or maybe even the pain and turmoil, though I’d like to think that I do not cause emotions like that unless they are well deserved. And then he laughed at me. Now, it is not that I didn’t expect this. I was prepared for it and after the words fell from my mouth I realized how entirely ridiculous I sounded, but I had said it and I deduced if I took it back at this point, I would make less sense, so I did the only logical thing and stared at him for a long period of time. He could laugh, I knew it wasn’t personal. What I didn’t want was to hear the next two words he spoke: Explain yourself. I don’t even recall exactly how I explained myself, and now, come to think of it…knowing me I probably didn’t. I probably went off on a tangent. More than likely I continued on my rant about how you never know how something will go unless you experience it. It may be good, it may be bad, but you never know until you try. Through the Unicorn’s laughter, I knew that he was aware of my joking and making for a fun conversation and it was apparent that was the case when I woke up to an email from him that contained nothing but a picture of a box. We have that kind of relationship and that is probably why I was able to jump briefly out of my comfort zone (or actually, right into my comfort zone, awkwardly enough) and be myself. That was one of the great things about this conversation and the person I was having it with. Yes, it completely turned me into “that girl” (for at least that night) and made me appear even geekier than I probably already did, but at the same time, knowing that it didn’t change our relationship for the worse, was a good thing. It gave me confidence that if it came down to it, I could be ridiculous and the Unicorn would still smile and encourage even more bizarre behavior, and trust me, there were times I could bring it and wouldn’t let him down. Some say it is better to have loved and lost than to have never loved at all. This may sound harsh, but when it comes down to it if at least you attempt to love, or in this case, to open the Chanel box, at least you won’t spend your life wondering about the contents inside and better yet, you may even get an amazing pair of shoes. That is a pretty sweet deal.